Synopsis: A former Imperial Russian General and cousin of the Czar ends up in Hollywood as an extra in a movie directed by a former revolutionist. Did You Know? Emil Jannings was not only the first recipient of the Best Actor Oscar, he was also the very first person to ever receive an Oscar. Back then, the winners were announced 3 months prior to the ceremony; but Jannings was due to return home to Germany, so he requested that he receive his Academy Award early. A lot can be said for silent films today. The actors relied a lot more on their business and blocking back then, before the talkies came. They were such experts at their craft, that you knew what was happening in the scene even without the title cards. 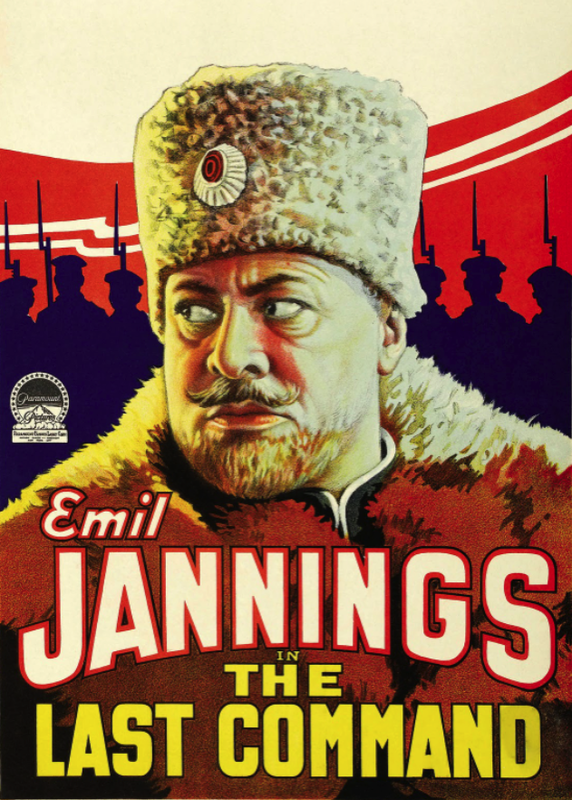 Emil Jannings gave a top-notch performance, complimented by the top-notch performances of Evelyn Brent and William Powell. So, his Adjutant just told him that she was a dangerous revolutionist, and he’s going to disregard that and focus on her being pretty? Later, he seems shocked and offended that she pulls a gun on him; it’s not like she’s a dangerous revolutionist or anything…. But how dangerous could she possibly be, because she literally faints when she can’t decide between carrying out her orders to kill him and saving the man that she loves (who she seriously just met like an hour ago)? If you can overlook the blaring misogyny, and if you don’t mind silent films, The Last Command is really a wonderful film.